So your kid wants to skateboard! Of course he or she does, it's fun and looks cool. After 10 years as a Skateboard Mom I have learned a thing or two, and this is the first of three skateboard posts sharing those lessons. As a parent my priorities are different than my child's. I want my son to be safe, and I do not have an endless budget, so before you spend your hard earned money on a cheap (meaning quality) skateboard from your favourite tire store here are a few things to think about! Skateboarding is a sport, and cheap boards bought at a department store are toys, not proper equipment. Just like a plastic ball painted to look like a soccer ball, is not a soccer ball. Investing in quality skateboarding equipment that is right for your child, will reduce frustration; increase their success, which leads to increased confidence and enjoyment. In the long run it tends to be cheaper to invest in better equipment from the start. Buy from a place where the staff actually skateboards. Let them help figure out the best equipment for your child specific size, age, and skill level. Eric Dionne, a 22 year skateboarding veteran, Top's Skate Team manager, buyer and part owner of Top of the World Skate Shop was kind enough to share some guidelines about buying skateboarding equipment. He has been with "Top" for 17 years, and for skaters and parents he is the face of Top, and a great example of local small business community involvement. Can you tell me how Top decks are made, and why it makes sense to invest in a good board versus a board you buy from a department store? "Top decks are made of 100% Canadian Maple purchased from Quebec, and pressed at the same manufacturing facilities as Pro decks like Baker, Deathwish, and Element. We pay a little bit more than most shops to get our decks made to ensure the best quality. Decks made from good wood and glue, and dried properly, makes for a deck that lasts longer and feel lively." You sell Top Decks and Pro Decks, why is the Pro Deck more expensive? What size deck do you recommend? Are some better for vert vs. street? "The most common size deck these days is 8" and the width really depends on your size, and skill level. If you are a beginner, we usually put you on an 8" or smaller. Smaller decks are lighter and easier to throw around, while a wider deck (8.2" - 8.5") offers a little more stability, and less breakage, and could be better for someone with bigger feet." (No judgement on the feet size... honest... Sasquatch.) "The vert guys will generally use a wider deck to skate transitions, but it comes down to a personal preference." Let's talk wheels! What size wheels do you recommend? Are some for better for vert vs. street? What difference does the width of the wheel make? "The most common wheel size is 52 mm. It is a good general size for any street or park riding you want to do. If you like to skate more bowls, or ramps we recommend a little bigger wheel, like a 54 mm and up. If you want a little more "grippiness" get a little wider wheel. While a skinny wheel will slide better and lock into tricks a little easier." What about how hard or soft wheels are (Durometer/Duro)? "Harder wheels (Duro 99-101) is a true street wheel. They are made to last longer against flat spots. Most transition, ramp, or bowl skaters will use a 97 - 100 Duro wheel with a wider footprint. The width will grip to the ramp easier, and the softer duro will make for a smooth ride. Top wheels are 100 duro. We use Mini Logos Wheels make by Powell-Bones. They are great wheels and cheaper than pro wheels." Moving onto to trucks. What do they do, and what should look at when buying trucks? "All pro trucks are basically the same quality. (They are) all aluminium alloy with steel axles running through them. Independent, Thunder, Venture and Ace are some of the bigger brands. What you should look for when you're buying trucks is Height Weight and Turning. If you like to skate a bigger wheel and want a smooth turning truck, get a mid or high truck. I you like a lighter setup, more stability, and to be closer to the ground, grab a mid to low truck. It is that simple." 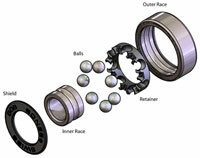 Bearings are next, what do they do and what is ABEC rating? Let's talk about grip tape and hardware. "Grip tape comes in different "grit". Jessup (brand) is regular grit, while MOB (brand) grit is more course. It really depends on how much you want your feet to slide around on your board. This is a personal preference. When it comes to hardware, there are different sizes to fit either a riser or flush on the board. Regular 1" hardware is most common and comes in Allen Key or Philips head. We like to use Allen Key... it is a lot harder to strip and that is better for kids to tighten their bolts." This conversation would not be complete without a bit about skate shoes. Be honest, does it matter what kind of shoes you wear? "It really does. You need a good flat bottom shoe to skate so you can feel your board ... and stop you from rolling your ankles. Skate shoes offer more impact support for your heels, and the front of the sole (ball of the foot) are thinned out a little so you get better board feel and contact for flip tricks. A skate shoe is also designed to protect against wear and tear (you are scrapping them on sandpaper (grip tape) all day long). so they are designed to have re-enforced toe caps, Ollie protection, and a longer lasting sole." Eric are the people working in the Top skate shop skaters? Meaning, have they tested, and know about the products they sell? Do they know how to put grip tape on properly? "This is so important, and that's what we've always strived for at Top. Growing up, I was "played" by so many (people) selling me stuff I really didn't need. When I started working at Top of the World I wanted to create an honest, informative shopping experience. We'll tell you if you really don't need new bearings, etc. All of my staff can walk you through what is best for you. No stupid sales pitch ... we test and believe in everything we sell." My two cents worth: I have shopped for and with my son at many skate shops, both chains, and independents in the U.S. and Canada, and I can tell you my service and experience at Top of the World has only ever been a positive one. The staff are friendly, knowledgeable, and helpful. You will find them the same at any of the Top of the World skateboard events. They are parent friendly, and involved in the community. That includes the skaters that ride for the Top Team. I have never found them to be too cool to talk to a Mom, or a younger skater! You can stay on "top" of all the latest skate info by following Top on Twitter and Top on Facebook. 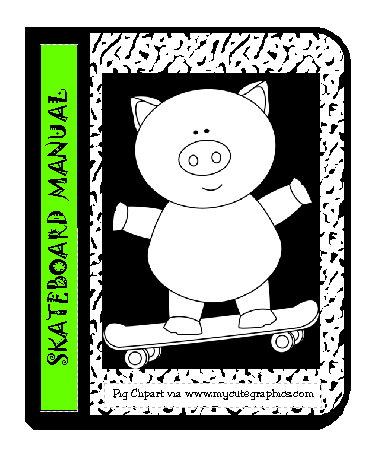 The second post in the series will cover the importance of using proper safety equipment, safe skating practices, and the benefits of skateboard lessons. How to Choose a Skateboard the Top Blog has a link to an excellent article from SBC Skateboard Mag. City of Ottawa Skate Camps - presented by Top of the World Information. 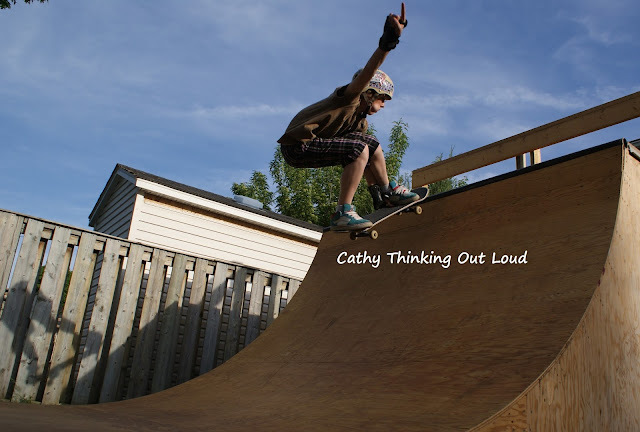 Yep, just me Cathy thinking out loud about skateboards. Note: I received a Top of the World deck free of charge for the purposes of these posts. All opinions are my own, and reflect my experience with Top of the World Skate Shop. Someone told me I was prolific today and I think being prolific is pretty terrific! PROLIFIC: "Producing constant, and successful results, highly productive, intellectually productive." Today someone told me "I'm a new fan of yours and admire how prolific you are!" From the context of the rest of the conversation, I believe she was telling me thank you or acknowledging that either my blog posts or my social interaction in some way had helped her, made her smile or just connected. What she might not have known is that those kind words helped me, made me smile, and made me free connected. 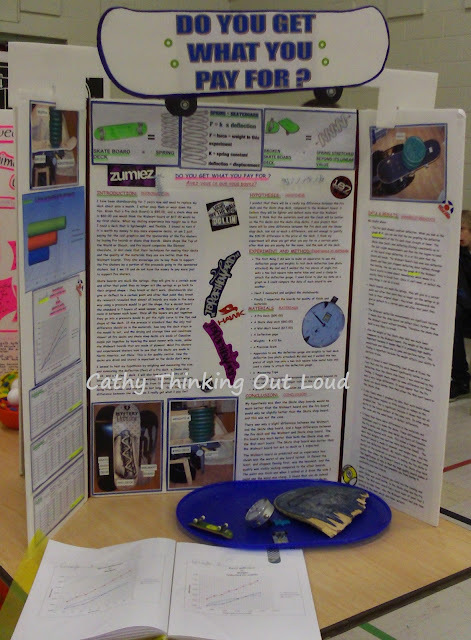 I am fairly new at blogging, and Cathy Thinking Out Loud is less than a year old. Lately I have been struggling with the fact that almost all of my writing is for free. It is not that I do not try for the paid writing opportunities I see, it's that I am not chosen for them. What does that matter? Why isn't writing for yourself good enough? Well, for the same reason not being picked for a team, or not being chosen for a promotion matters. It impacts how I feel about myself. It makes me question my abilities, and occasionally makes me feel like giving up. 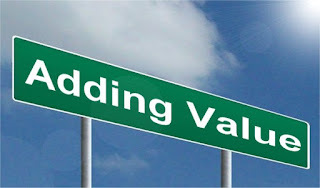 Being picked and paid is a sign that my work has value. After more than 18 years as a stay-at-home Mom, right or wrong, I need that validation sometimes. That being said until the time comes that I am picked for "the team" a compliment like; you are prolific is pretty terrific! Proof positive that at least one person reads what I write! Feels a bit like I just got a big Christmas bonus! Yep, just me Cathy thinking out loud, and happy to be prolific. 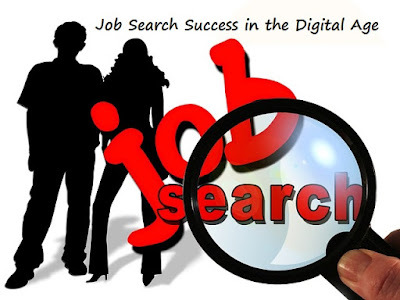 How Living in a Digital Age Changed the Business of Searching for a Job? I love reading interesting and informative posts and articles about business, social media, marketing, and networking. I'm a bit of a junkie when it comes to this type of thing. But why keep this wealth of information to myself, when I can give you food for thought, and share articles and resources I hope you'll find worth taking the time to read. What techniques work, what doesn't, and emerging trends when it comes to job searches, and recruitment. Whether searching for a part-time job, something thing that can be done from home, or a corporate position, living in a digital age has completely changed the way of doing business for both those looking and those hiring. Are you bold enough to send a video or infographic style resume in your job search, or are you too old school? Note: I have not been compensated in any way for this post. All opinions are my own, and the purpose of this post is merely to share with my readers posts and articles I find interesting. I regularly have conversations on social media and in real life with friends and family about which TV shows, or movies are good to watch. So I thought why not share on Cathy Thinking Out Loud once a week, on Wednesday (aka #W2WW) recommendations I have, or ones shared with me. Please share your recommendations in the comments section! This week's What to Watch Wednesday theme is Summer Fun. With the sunny weather and the hotter temperatures, thoughts of summer vacation keep crossing my mind. So here are two family movies about summer I found on Netflix Canada. "Five childhood pals reunite after 30 years at a lake house to mourn the loss of their old basketball coach, and act quite juvenile for their age." I thought this was very entertaining, and found the different parent stereotypes particularly funny. Maybe you recognize some of the parenting styles in yourself or your friends. Also I liked the PG rating making the movie possibly appropriate for you to watch with your tweens, and teens. "In this family film, never-dull third-grader Judy Moodie embarks on a summer adventure with her brother, Stink, and her always-up-for-fun Aunt Opal." I love when there are movies the whole family can enjoy together, and anyone who is a fan of the Judy Moodie books is sure to enjoy the movie too. Note: I have not been compensated in any way for this post. All opinions are me own, and the purpose of this post is merely to share with my readers. 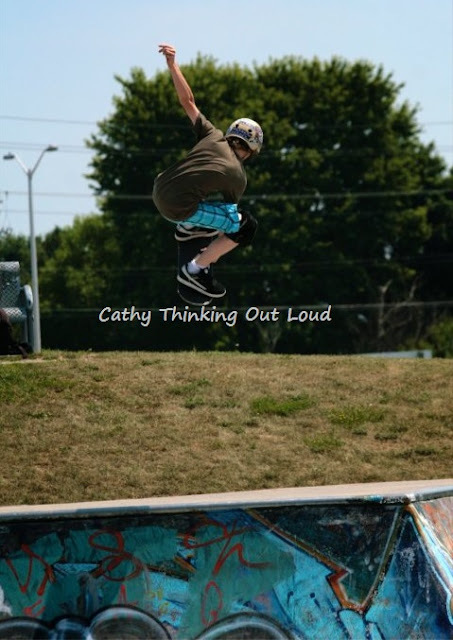 Lessons From The Skateboard Park: So Much More Than Just Tricks. My kid is a skater. He has been for the last ten years. He has spent hours at skateboard parks, practising tricks, trying to finally land the one trick that has eluded him. 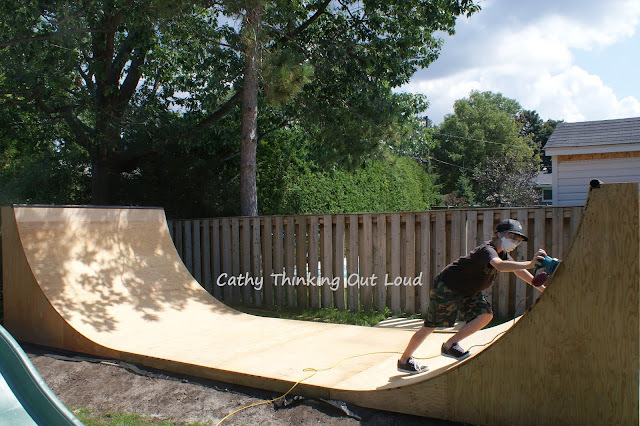 I know my kid will never be a pro skateboarder, but still, life is all about lessons, and I think you might be surprised at the things my kid learned at the skateboard park. There's A Grade 10 Math Parabola Question In There Somewhere. Yep. just me Cathy thinking out loud about skateboarding. 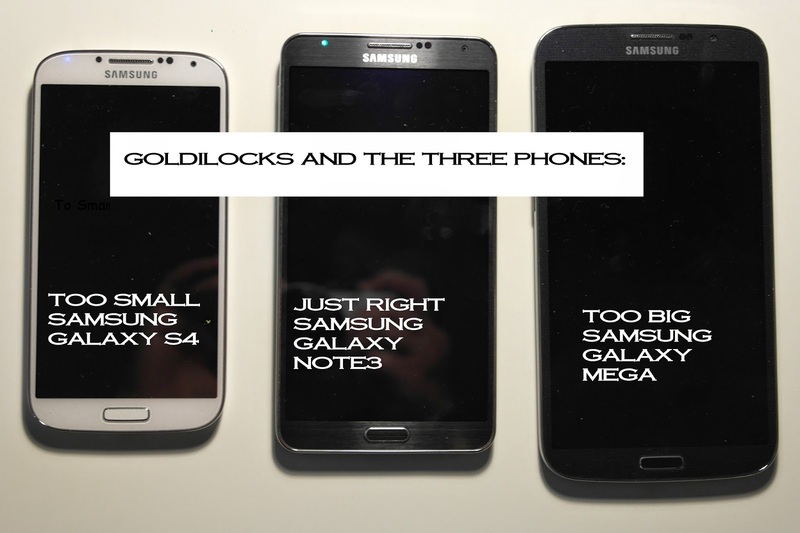 Which Samsung SmartPhone is Just Right For Me: Samsung Galaxy S4, Mega or Note3? I think we can all relate to feeling lost in the Tech-device Forest of smartphones, and features. We need breadcrumbs of information to help us find our way through the facts and the fiction. Like most people I'm not a tech expert. Fact is, I can barely keep up with the names of all the new devices, apps, social media platforms, far less what they do. Plus, there are all the updates and changes to existing ones. Picking out a new phone is a big decision. Gone are the days of "Do you want a flip phone? ", and "What colour do you want?". Phones are expensive investments, and like other investments, require that we do some basic research, before we spend our hard earned money. A list of wants, and needs is a good place to start. Ask yourself questions, that help you figure out what you want to use your phone for: camera, texting, social media, emails? Do you like a keyboard, or stylus? Does it need to be rugged to stand up to your work or sports you play? What additional accessories might add to the cost of the phone? Answers to these questions will definitely impact which phone you will want to choose for yourself. I'm a fan of Samsung but even within that brands I find I have distinct preferences. They are all great phones, but there was one I much preferred over the others. This was not so much to do with the price points, none are inexpensive phones, but I realized I needed a larger screen to read. It's a fact of life, my eyesight is not as good as it used to be. I also realized I love a stylus and this is a worthwhile investment for me, but may not be for someone else. For my Husband the Rugby is water resistant, and has a built in case that keeps the dust out. For him this is important, and luckily the Samsung Galaxy S5 will make a great update when the time comes. Where do you find the information you need to know, in order to make the right decision for yourself? There are several sources to find this information, and when combined prove to be very helpful. Brand websites give you information about what devices are available and their specs. I start with brands I think might be of interest, in this case Samsung Canada - Mobile . Brands are also great at creating content and tutorials to help you maximize your device experience. Stores such as Future Shop Canada that sell phones and services, often have staff who are knowledgeable and tech enthusiasts. Service providers, such as TELUS can help you calculate the total cost of the phone including your service requirements. Many providers have in-store programs available by appointment to learn more about your services and devices. In general they are free and worth taking advantage of. I've found Mobile Syrup which is a Canadian resource, and Techno Buffalo which is out of the US always have excellent product information and honest reviews of a product they have actually tested. These are just two of a long list of excellent review sites. For general Canadian Tech information that is up to date and relevant follow TechVibes. Good luck finding the phone that is "just right" for you. The reviews, and tutorials are worth the read to find out how your smart phone can help you make smart use of your valuable time. Yep, just me Cathy thinking out loud about what's worth the read. Note: I was not compensated for this post in any way. All opinions are my own, and the purpose of this post is merely to share with my readers information or links I think they might find of interest. I regularly have conversations on social media and in real life with friends and family about which TV shows, or movies are good to watch. So I thought why not share on Cathy Thinking Out Loud once a week, on Wednesday (aka #W2WW) recommendations I have, or ones shared with me. Please share your recommendations in the comments section! This week's What to Watch Wednesday theme is Skateboarding. With the nice weather my son is out skateboarding almost everyday. I found 3 skateboarding themed movies or documentaries on Netflix Canada. I personally enjoyed all three of these, and if you have a teen why not sit and watch together. Think Back ..... Way Back, to the days of big hair, big shoulder pads, 8 track tapes and gnarly TV shows! 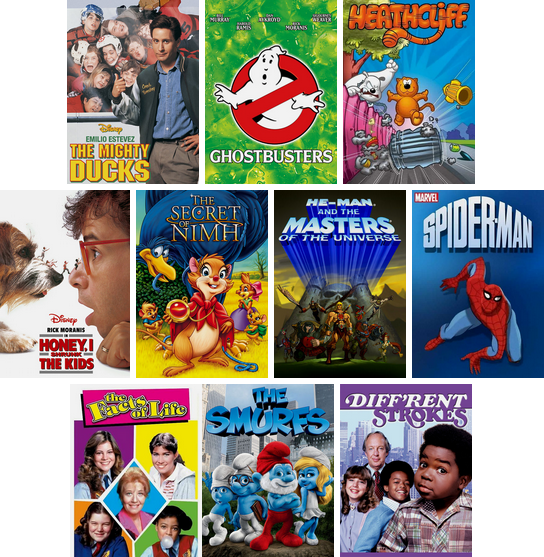 Join me and the Netflix Canada #StreamTeam on our #TBT – Throw Back Themed month of viewing fun. I mean who doesn’t appreciate how “totally excellent” and “tubular to the max” Fruit Stripe Gum, Jiffy Pop and Pudding Pops were, right? Like duh! So throw your hair into a side ponytail, grab your leg warmers and scrunch socks, we’re going to “take off, eh” to a time when acid washed jeans, Boomboxes, and skateboarding were all the fad! Check out some of the "radical" shows and movies we have picked out for the whole family! There is nothing better than Friday Family Movie Night, and Ghost Busters is the perfect movie to pick! Why not make it a double feature and add Honey, I Shrunk The Kids to the Marquee. 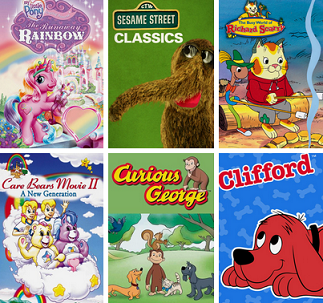 Your kids are sure to love Clifford the Big Red Dog , and you're never to old for Spiderman. Still looking for something to watch? We have lots! Need an idea for a retro treat? Check out the Recipe link HERE and make your own Pudding Pops. Yep, just me Cathy thinking out loud about the Netflix Streamteam. Note: As part of the Netflix Stream Team I receive Netflix, and a streaming device free of cost for the purpose of my streamteam reviews and posts. All opinions are my own. Food for Thought: Time is Money and You Get What You Pay For. Sometimes the cheapest isn't the best bang blog for your buck. I love reading interesting and informative posts and articles about business, social media, marketing and networking. 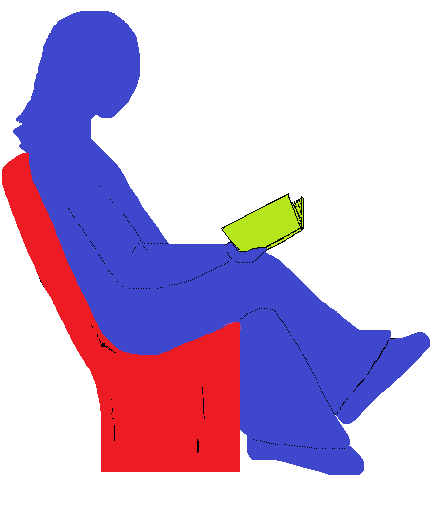 I also like to reflect on and share some of the ideas and posts I read. With my Food for Thought posts my goal is to share information, give you something to think about, and link a few related posts or resources I think are worth taking the time to read. This week's theme is about quality over quantity, and cost-benefit analysis that goes beyond the numbers. My ideal in life and for my blog is a balanced scale and a Win-Win scenario. I've been thinking a lot about what a win-win scenario for Cathy Thinking Out Loud would actually look like, and what my time is worth in terms of compensation for a post, review or social media engagement. There are plenty of posts about compensation and/or how to monetize your blog, but specifics about rate scales or dollar value is much harder to find. The answer seems to be a complicated mix of page views, perceived value, networking, and negotiating skills that determines actual compensation rates. Some bloggers say never work for free, and know your value. While others say working for less, or for free is a good way to get your name out there and your foot in the door. The result is I find myself in a constant internal struggle between being a relatively small blogger (lower numbers), and valuing the time, experience and skills I bring to my writing, and my social media engagement. A great deal of time and thinking goes into the perspective and storyline for each post. I want to inform and entertain from a point of view that's uniquely mine, but also one my readers can relate to. I'm very conscious about writing posts that add value to those compensating me for my time, and part of that value is writing content that isn't just a cut and past of specs and information. Regardless of the topic I strive to write a story and share personal experiences. I hope those I write for see and appreciate my efforts and understand not all posts are created equal. Cookie cutter, unimaginative posts are a lost opportunity to truly impact a reader with a message that has staying power. I'm not saying those writing the posts are unimaginative, I'm saying time is money, and you get what you pay for. Personally, I think the cost/benefits columns are incomplete with this approach, and there is a bigger picture to be seen. Original creative content takes time, and therefore costs more to produce, but in the long term it makes brands stand out from their competitors, and ultimately impacts purchasing decisions, not just traffic to their site. Looking only at numbers rather than the quality of the numbers and engagement, or opting for the cheapest rates may not be the best bang blog for a brand or business' buck. Being compensated fairly for my work, valuing my time and acknowledging the intrinsic value I bring to the table builds positive relationships and win-win scenarios. If you have a budget don't nickel and dime me. If you don't have the budget then you need to re-examine your marketing campaign to fit the budget you have rather focusing your cost cutting efforts on not compensating me. If you are not working for free, don't ask me to. If you are compensating other bloggers for a post, don't ask me to write for free. I'm not blind, I know when others are being compensated and I'm not. Do Not play the "it's for charity" card and try to make me feel bad for wanting to compensated for my work unless: the position you hold is strictly volunteer, and you plan on showing me the numbers for your free social media sharing, and blog posts you've written. Before you ask me to work for free or for some token compensation, first ask yourself if you would work for that compensation. If the answer is no, then it's insulting to ask me to. I value my time even if you don't. So do I work for under minimum wage to get my name out there? I've decided that's not a win-win for me, and for that reason my answer is no. But everyone must answer that question for themselves and define what their win-win looks like. Below you'll find links to a few posts that may help and in my opinion are worth the read. I regularly have conversations on social media and in real life with friends and family about which TV shows, or movies are good to watch. So I thought why not share on Cathy Thinking Out Loud once a week, on Wednesday (aka #W2WW) recommendations I have, or ones shared with me. If you have a recommendation please share them in the comments section! I picked Mom themed movies for this week's What to Watch Wednesday from Netflix Canada in lieu of Mother's Day being only a few days away. A financially strapped Mom wants to throw her 6-year-old daughter an amazing birthday party, but all of Manhattan seems to be conspiring against her. I think the rating is about right for this movie. It is not winning any awards, but it was a cute watch. In this affable yuppie comedy, Kate Reddy is a successful executive, wife, and mom whose personal and professional lives hang in precarious balance. This was a cute movie. I could relate to the juggling, and that precarious balance between motherhood and the rest of ones life. Happy Mother's Day to those celebrating, and wishing success in their parenthood dreams to all those hoping to be. A Love Letter from my teenage boys thoughtfully articulating why they love me would be a cherished Mother's Day gift. One thing I've learned from CathyThinking Out Loud is that the process of writing posts helps me to clarify my feelings and organize my thoughts. This process starts with an idea and an outline for a post, which more times than not, leads to more thinking, and questioning. By the time I reach the end of the post, it often ends up taking a very different direction then I originally thought it would. For me writing requires that I give 100% of my focus and attention to that specific task. Getting teenage boys to share their feelings is not an easy task, but never being one to shy away from a challenge, I've decided to ask my two teenage boys to do just that. I'm asking them to focus 100% of their attention on the specific task of writing a two or three paragraph essay or letter, once a year, telling me why I am important, inspirational, or add value to their lives, including a few specific actions, activities, or memories that are meaningful to them. I thought writing a letter might be an easier way for them to express their feelings, and because it was a Mother's Day request, they might be more willing to do this for me. Hopefully through this my kids can better appreciate what I do for them, and at the same time, give me better understanding of their perspectives, and expectations. Having your kids acknowledged your value and contribution seems like a pretty great Mother's Day gift, and BONUS! because I have it in writing, I can reread them. when they are rude, or driving me crazy after a day of playing taxi, short order cook, and banking machine for them. Better yet, maybe that is a good time for them to reread their letters. What about you? Would you consider asking for a Mother's Day letter instead of a gift? Yep, just me Cathy thinking out loud about Mother's Day. Yay me! but so what? There is the nifty button to put on my blog sidebar, but surely there needs to be more than just that to join a community of bloggers Right?! Why not stick to posting for my own blog Cathy Thinking Out Loud ? Excellent question! even if I was the one to ask it. Well, as you all know, I like to think of myself as a sharer, and a linker, so expanding the reach and community I share and link is a good reason. Being able to find and read interesting posts, and about products, I might not otherwise see, and for others to find mine is another good reason. Feeling like you are part of something, and a valued member of a community is pretty great too! I have spent many of my 18+ years of motherhood chatting with other parents, caregivers, and teachers about which products and techniques work. I have actively participated in that casual exchange of information between parents that happens at play groups, nursery schools, and school drop-off and pick-ups on a daily basis. Even dinners out to get a break from "the kids and Hubby" always involves some degree of sharing, and comparing our parenting successes and failures. Some conversations are of a serious nature, and some are funny (at least in retrospect), but all help us grow as parents, and give us perspective. These interactions not only make us to see we are not alone, but also provides us invaluable information about products, resources, and options for many of our parenting issues. I'm honoured to be part of such a diverse, and fantastic group of bloggers. To me being part of the PTPA Blogaholic community is just an expanded version of the drop-off and pick-up chats. It is a daily opportunity to share information, laugh together, and occasionally vent about how crazy life can get. I hope it is a two way conversation, and my posts encourage you to engage with me and keep the conversation going. So grab yourself a coffee, put your feet up, and lets start a conversation. I'll start (Chatty Cathy that I am) Show me the Grit! Parenting teens is hard work. via Cathy Canton - PTPA my first post as a PTPA Blogaholic. 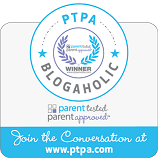 Yep, just me Cathy thinking out loud about being a PTPA Blogaholic. Summer School Cramps My Style! There I said it. I am not anti-education, unless if interferes with my summer plans, or more importantly my desire to have a lack thereof! I'll be angry if my kids end up in summer school, and it is looking like a distinct possibility for both of them! Don't they care about me? 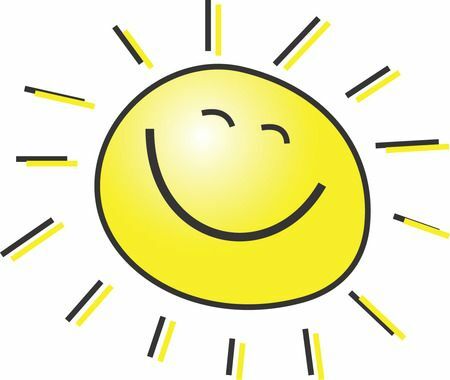 I like summer to be less scheduled and relaxed. I can write and post to Cathy Thinking Out Loud while on the road, or visiting family, but summer school is in class everyday for the entire month of July! We always like to go on a family road trip in the summer which takes at least a week if you include travel days. Visiting family that live out of town is a must. We ignore them the whole year because of school work, and projects, and the visits we do make are short and rushed. That takes another week plus two travel days. Not surprisingly the kids have plans of their own with friends, and things they want to do on their summer break. I haven't even started in about the 40 volunteer hours one of them has yet to do, and 40 hours of in class and road instruction for driver's ed. We have now burned through six of the eight weeks of summer vacation, and what happens if they get a job? At least they no longer go to camps, or quite literally there would be no summer left! We only have a couple more years before my kids venture off to university, college or jobs. Once that happens things are never quite the same. Oh, we might go on vacation together, or they might come back for the summers while in school, but that carefree feel of long summers, where we can be unscheduled and spontaneous will be gone. I am not ready for that, and really do not appreciate summer school spoiling it for me. Personally, I think my kids will just have to kick it up a notch at school during the school year, so is summer school is not required, and it stops cramping my style! What is your summer style? 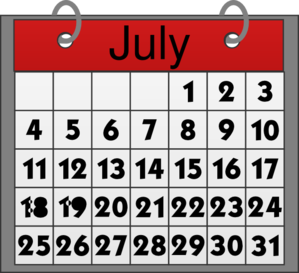 Scheduled and action packed, or relaxed and spontaneous? Yep, just me Cathy thinking out loud about my summer style! FOOD 4 THOUGHT: WORTH THE READ May 2, 2014 How to Throw a Twitter Party People Want 2 Attend! This week is about the art of throwing a twitter party. Whether you are a brand or a blogger, twitter parties are fun, great exposure, and two way engagement without a sales pitch feel. Participants and their followers get a chance to know you, and engage in a positive fun way, with a few lucky prize winners to make the party exciting. Like anything else in life, if it is worth doing, it is worth doing right. For this you will need a plan, and to invest the time and work required to make your party run smoothly and look effortless. Note to reader: It is in no way effortless! It requires close attention to detail, and planning, it's just suppose to look that way.